Sep 11, 2018 – NYC Ferry 6th and latest route—Manhattan’s Lower East Side (LES)—began service on August 29, 2018 and will run from Long Island City in Queens (Gantry Plaza State Park), to Corlears Hook on the Lower East Side, to Stuyvesant Cove in the East Village, to E. 34th St, ending its run at Wall St./Pier 11 in under 40 minutes. Since its launch in Summer 2017, NYC Ferry—operated by Hornblower—has expanded transportation options across the five boroughs and simultaneously elevated the travel experience. On-board bites and beverages, plus scenic views of New York City’s waterfront communities, are just a few of the reasons for visitors to enjoy the NYC Ferry. Randall’s Barbecue – Owner and operator Jared Male learned the techniques of slow smoking at Hill Country Barbecue, Dinosaur Bar-B-Que and the Big Easy in London. He offers brisket, pulled pork and spare ribs along with smoked duck, lamb ribs, and, in a nod to the neighborhood, smoked chopped chicken livers and homemade pastrami. Other liberties include smoked meatloaf, New England clam cakes, and country-fried eggplant. The space includes just 44 seats, vintage touches, and communal tables. 100 gates project – When the 100 Gates Project began in LES in 2014 the goal was this: to paint street art murals on 100 security roll-down gates in the name of community enrichment and beautification. Today, 100 Gates continues to connect artists with merchants in the Lower East Side and creates Instagram-able moments for locals and visitors alike. Russ & Daughters – This high temple of smoked and pickled fish stands in the very neighborhood where, more than a hundred years ago, its founder Joel Russ stood selling Polish mushrooms from strings slung over his shoulder as well as herring in barrels, later from a pushcart. 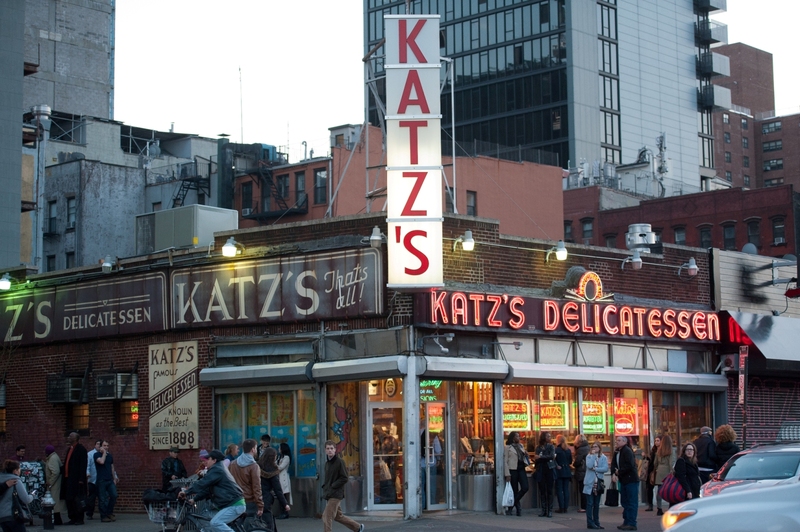 Katz’s Delicatessen – A classic New York City deli, this iconic venue serves the ideal Reuben, be it pastrami or corned beef. Specialties include salami, knishes, matzo ball soup, and other savory treats. Eldridge Street Museum – The Museum at Eldridge Street is housed in the Eldridge Street Synagogue, a magnificent National Historic Landmark that has been meticulously restored. Opened in 1887, the synagogue was the first great house of worship to have been built in America by Jewish immigrants from Eastern Europe. New Museum – Founded in 1977, the New Museum is a leading destination for new art and new ideas. It is Manhattan’s only dedicated contemporary art museum and is respected internationally for the adventurousness and global scope of its curatorial program. Disclaimer: The Daily Brunch does not hold the rights to the featured image.